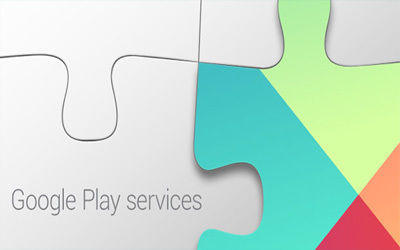 Google Play services APK has been updated to 10.2.98 (030-146496160). Most people using gadget tend to know more about Google Play instead of this app. They both have significant differences. The most basic difference is that Google Play functions as a service for users, while this app is a facility from Google for Android programmers. But, do Android users willing to create Android applications have to understand the whole things about Google Play Services performance? It is not necessarily so, since when you would like to create some Android standard applications and already been integrated into Google Service, you only need to see these following essential things related to this app. Google Map Service (GMS) is one of applications in Play Service. Each application needing data input will use Google Map Service in Library. Without using the Library, your application program might be error. Google Map Service is used to create the map display of Google Map feature, to change the type of map, to add marker service, and also to add Window’s info and features. Google + (Google + Platform for Android) is a Play Service feature which should be implemented if you want to log in via Gmail access or Google +. In default way, the user has an e-mail on Android which can be used to access Playstore and Gmail. If you want to log in using the Google + feature, you must activate this service. Google Cloud Messaging (GCM) is a service that enables users to receive notifications. Surely, Android users are mostly familiar with social media like Twitter or Facebook. You will absolutely receive some notification messages about all your activities on the social media you manage. Then, how does the notification message system work? The notification messages use push notification technology. Google provides GCM service to support the notification messages performance. It can be used for free by Android users. Google Analytics Service is a service which can help us to know how many users are in active mode. This is pretty useful for those who own or run online shop, since they can see the activities done by users viewing your products. Google Mobile Ad (AdMob) is an ads service from Google for Android. Most of free apps on Playstore use this media to get profit from the free apps they have created. This app is needed to support another apps on Android.